I have been tagged by Nicole (she started of this tag). Right, we have been talking about food and eating each time we chat. She asking where I will take her to when she comes over. I asked her what is good over at her place… and she then came up with the idea of making a tag listing up the top 5 places of food one would recommend. Hence with the gathering of this info, we could end up with a good bundle of only the best. 1. List out your top 5 favourite place to eat at your location. 2. Put down your link below together below the name/nick of the person who tag you and link directly to your post (e.g http://www.velverse.com/?p=545). Please include the state or country you’re from. Counting down to great food I would recommend. Jogoya is one of the places I would recommend to anyone who come visit me. Well, yeah… it isn’t exactly any local food. In fact it is a Japanese buffet spread owned by some Taiwanese corporate. However I still think it’s one great joint to dine in. 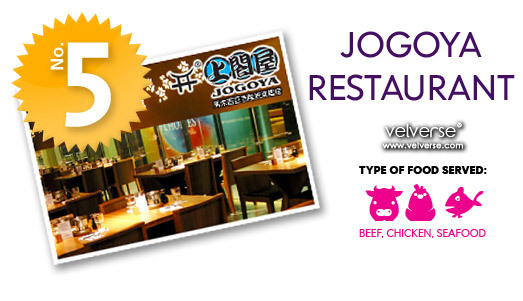 Jogoya serves a large spread of buffet. Varities from sushi, sashimi, teppanyaki, teriyaki, steamed food, soups, tempuras, desserts, cakes, cookies and not to mention various variety of drinks. One could possibly get lots in this place as they were too mesmerized. I somewhat think their food is fresh and for the amount that I manage to it, it’s really worth the price. So yes, I don’t mind going all over again. Anyone? Ah… some local chinese stall to recommend. 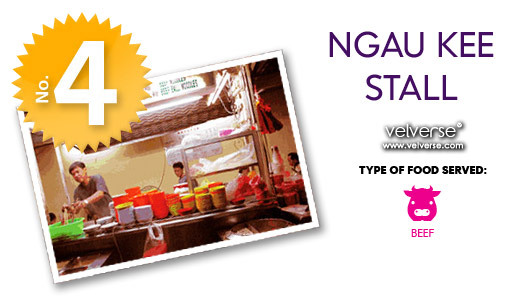 If you really love beef, Ngau Kee beef noodles is not to be missed. This stall has been there for decades. As far as I remember, many people brought me there and I must say, each time I went there… it never fails me. As time goes by, they are pretty much more flexible. You could actually mix and match you stuffs. Can choose from dry or soup based beef noodles. One can also choose the type of noodles… not to mention you can actually mix them as well. I prefer the dry type which comes with minced beef on top of the noodles. They then serve you a bowl of soup with beef balls, beef tendons, beef slices and even beef intestines. Well, one could actually even custom what they want in their bowl of soup. In which one of the reasons why I actually like this place. Of course having a good bowl of noodles with great beef balls is not the only thing that catch my attention. Their pot of chili sauce plays a great big role too. It’s simply out of this world and there are times I wish no one was looking so I could actually steal the entire claypot home for myself. I always believe people who visited Malaysia must try out our specialty, nasi lemak. Nasi Lemak Antarabangsa serves one of the best nasi lemak in town. I still remember the first time I set foot at this place was when I work in my previous company. One of my colleague did a food review for clients and tag me along. The best part, we ordered and ordered. Eat and eat… and at the end of the day… we didn’t have to pay a cent. It isn’t called Nasi Lemak Antarabangsa for nothing. At it’s wall, one could see that many people around the world actually drop by tried and leave behind some comments. Not to mention stars and artists leaving their remarks and signature there. Nasi lemak is almost the same everywhere, few slices of cucumber, peanuts, ikan bilis, coconut rice and sambal. Right… and the most important thing that distinguish one from the rest would be it’s sambal. 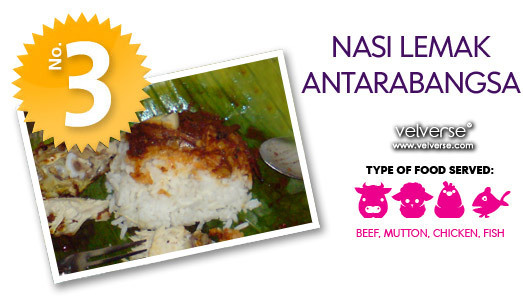 Here at Nasi Lemak Antarabangsa… they simply nailed it! Besides the basic nasi lemak, they have lots of other variety of stuffs to add on. They had so many to choose from, friend chicken, curry chicken, beef rendang, sambal sotong, curried beef lungs and many more. When talk about nasi lemak… I somehow still think they serve one of the best nasi lemak in town. 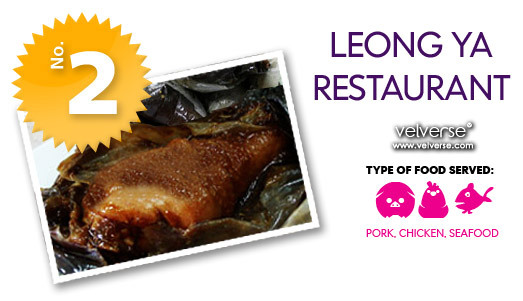 Leong Ya is a place I really enjoy going when I stayed in Sri Kembangan during my uni days. Each time my parents came visit me, I can’t help but wish they would want to go there. It is a typical chinese restaurant which serves lots of chinese dishes. However, they are really famous for their Paper Wrapped Chicken. Right, one can never miss out their signature dish as it taste really good. The thick and sweet gravy covering the entire chicken. Mmmm… each time unwrapping the chicken is like unwrapping gifts. I each time prayed for chicken wings and much to my disappointments… I always failed to find it. Besides their famous Paper Wrapped Chicken, their Yong Tau Fu is also highly recommended. I could just eat their Yong Tau Fu and their Paper Wrapped Chicken. Ah…. I really could… I really want to… I really did. Times like this, I wish I am back at my uni days where Leong Ya is just so near.. I could actually walk to that place. 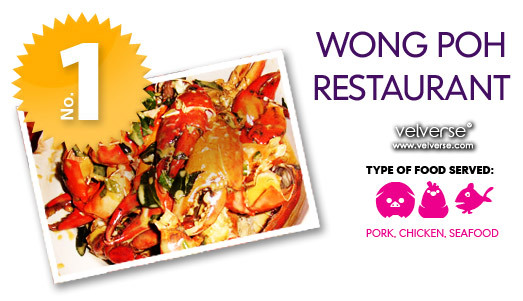 Wong Poh Restaurant is the place me and my fellow uni mates had our Chinese New Year dinner last year. I find their food there was simply amazing. It’s a common norm that during Chinese New Year, most restaurants’ food quality would drop due to overwhelm response.. Wong Poh however didn’t fail me. Noted for it’s Cheese Crabs in Claypot. Yes, Cheese Crabs in Claypot is simply amazing as the thick gravy wrapped around the crab meat. I am glad the crab meat was fresh and that contributed much to it being prefect. Besides that their Butter Crabs and Salted Egg Crabs were great too. No kidding.. A great place to just eat crabs when you have cravings for it. Suzi (Minnesota) Note: Can’t get to link directly. Post is on 09 May, 2007.